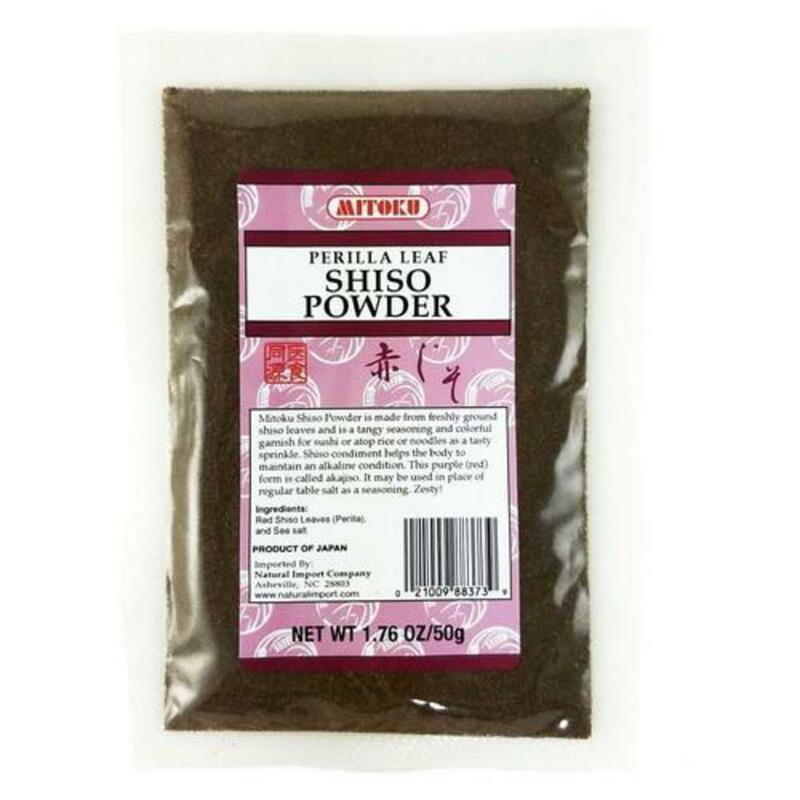 Natural Import Company - Traditional Japanese foods - Mitoku Shiso Powder - 1.76 oz. 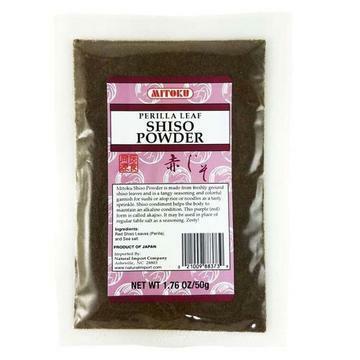 Mitoku Shiso Powder - 1.76 oz. Ingredients: Japanese powdered red shiso leaves (perilla), and sea salt. Mitoku Shiso Powder is made from freshly ground shiso leaves and is a tangy seasoning and colorful garnish for sushi or atop rice or noodles as a sprinkle.